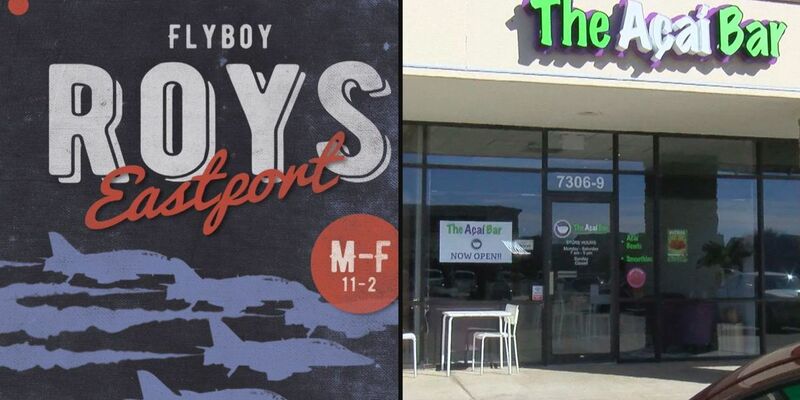 AMARILLO, TX (KFDA) - FlyBoy Roy's and the Acai Bar are two of the newest restaurants to open in Amarillo. They serve very different foods but both have one goal... bringing something new to the area. "I would say we just care," said FlyBoy Roy's Manager, James Allen. "We have a lot of passion for our food and service, and we try to make everybody feel as comfortable as possible every time they walk in the door." The restaurant is a little over 2,000 square feet and currently has two employees. They serve a variety of foods from pizza to sandwiches, and they said they've seen between a 40 to 50 percent increase in customers since taking over Rafter J's. Though they are new, management believes they have found success. "The people of Amarillo are just real help and are just real accepting, and we always believe that the word of mouth is the best format of advertising which works thus far for us," said Allen. For more information about FlyBoy Roy's you can visit their Facebook. The Acai Bar opened in January and sits off Coulter Street. They said they provide a healthier alternative to the area because they add no sugar to their acai, fruit bowls and smoothies. Right now, there are nine employees serving customers in a 1,200 square foot building. The owner said staying humble can help business in this competitive market. "Stay humble and follow your dreams because you are never going to meet those goals if you are too afraid to step out and get your feet wet," said the Acai Bar Owner, Patty Schniederjan. "We had some goals and I feel like we have really done well to set those goals. Amarillo has been really good to us and we appreciate all of Amarillo and Canyon the surrounding towns." To learn more about The Acai Bar you can visit their Facebook. A third business is also continuing to expand in the area. Lupita's now has a location on Amarillo Boulevard near East Buchanan and another on 6th avenue between Western and Georgia.